I love Thai curry. Red or yellow or green or panang, thick or thin, potato and egg-based or full of vegetables. 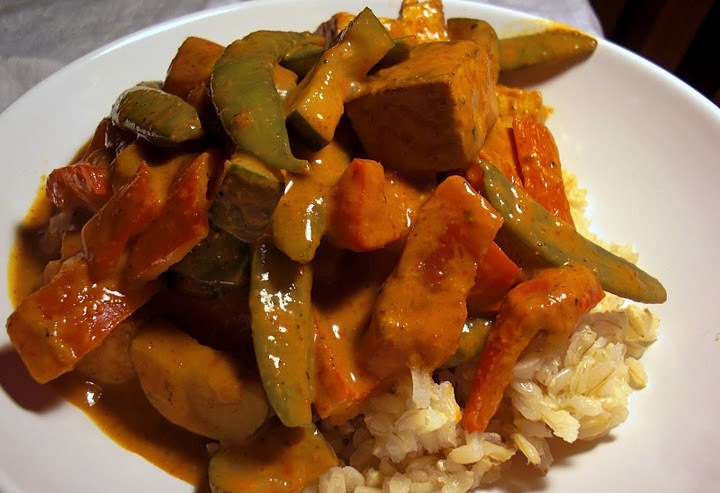 I find that I can whip up a thai curry in no time at all, using just about whatever vegetables I have around (hopefully seasonal), a can of lite coconut milk, and a small can of prepared thai curry. * My favorite ones are the Maesri brand, easy to find at any local asian mart. In West Philadelphia I buy them at PP grocery or H Mart, in South Philly at any of the big asian groceries on Washington Ave., downtown in Chinatown, and in Northern Liberties at the asian market on 3rd and Spring Garden Ave. The varieties seem almost endless, and each can comes with a suggested ingredient list on the back. But I say, use what you wish, and taper the curry paste to suite your taste. Serve over rice or rice noodles, and you have a fast week night dinner! * If you are vegetarian, check the ingredient list. A few of these curries have fish sauce or fish products included. 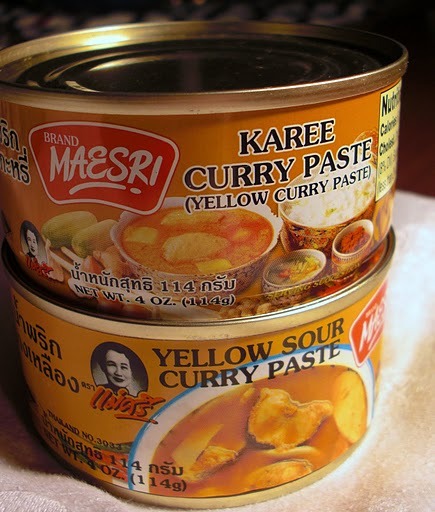 In west phily, you can also get the cans of curry paste at Fu-Wah market at 47th and Baltimore! I love curry as well. Sautee some veggies, add some prepared curry, and voila- easiest meal ever.